Early this year Universum - an employer-branding consultancy conducted a survey involving 46,000 undergraduate students in the U.S. on who would be their 'IDEAL' employers. 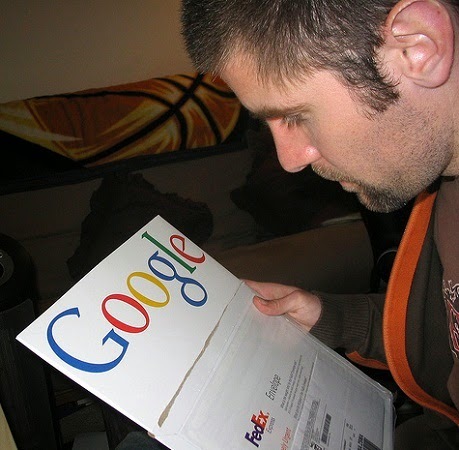 Pretty much everyone’s dream company is Google, the survey revealed. 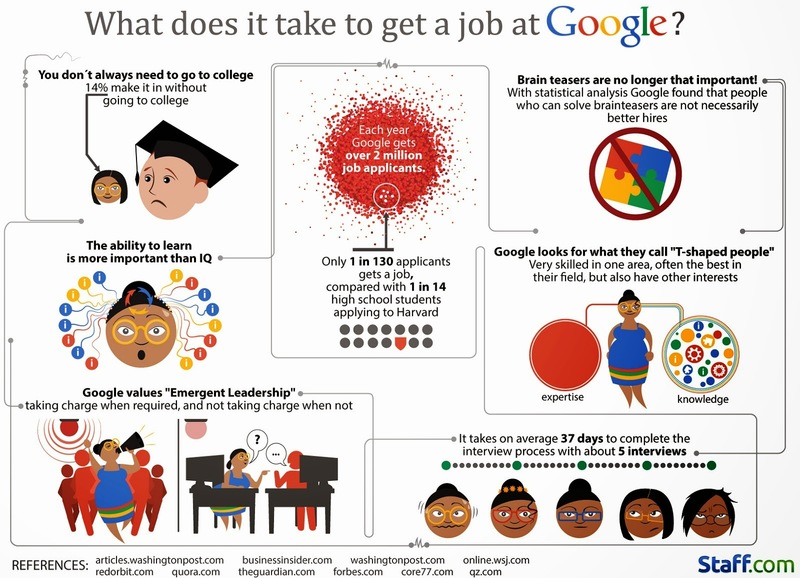 In this article you will lean the best Tips on How to be Recruited by Google and How to Get a Job at Google via Infographic. Of the 16,000 business students in the survey, one in five wished to work for Google, at least those undergraduates pursuing degrees in business or computer science and information technology. And the next tech company who will be getting the most application come spring will be Apple. In similar light, PayScale and Business Insider has prepared and compiled the primary yearly list of the top best attractive employers in USA, tech companies like Microsoft, Symantec, Cisco, Intel and Apple dominated the upper echelons. What makes these companies such a huge draw not only among undergraduates but veteran professionals alike? People say it is the Perks. With pockets as deep as the Marianas giant tech companies understand that offering incredible employee benefits play a huge role in attracting and retaining the most innovative and productive talent. So with Google, employees get to enjoy free haircuts, free laundry and dry cleaning, free bike repair, free transportation… yoga, fitness classes, subsidized massages and more on top of the “usual” fare for any multi-billion dollar company, if only they chose to work at Google’s Mountain View Complex. Then there are the Employee Benefits. Forbes has a report that when Google employees die, their surviving partner - husband, wife or civil partner will receive a check for 50 percent of their salary every year for the next 10 years. And this benefit for bereaved people has no tenure requirement which means all 47,756 employees (as of 2013) are already eligible for this on the first day of work. Then of course, there is the salary. According to the consulting firm Robert Half International, in 2013 the technology sector has the biggest average salary increase out of any sector. Giant tech companies are among the companies offering the highest annual salaries. Earlier this year, a story has been circulating around the internet about a Google engineer who turned down a $500,000 salary offer from a startup because he was already making $3 million a year at Google. If the story were true, then Google probably holds the title of having some of the highest paid employees for a tech company. One the basis of their reputation of rigorous recruitment and selection process, Google suffers no shortages of applicants, with over 2 million each year.